Ready for a hug at first morning light! 1. 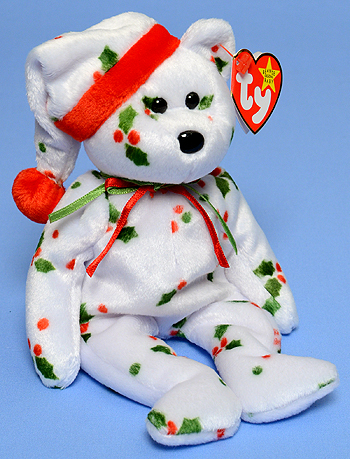 The name on the swing and tush tags of the counterfeit version is Holiday. 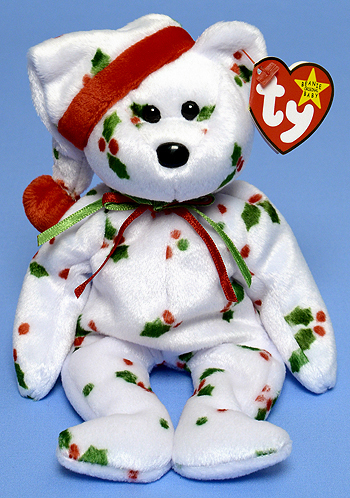 The name should be 1998 Holiday Teddy. 2. The holly pattern on the fabric of the counterfeit is larger than the one on the authentic version. The poor quality of the printed pattern is another indicator.